The intense opening scene of BBC One’s thriller, Bodyguard (the most watched TV drama in over a decade), was something like a domestic Jason Bourne film, as we were all in the hands of creator Jed Mercurio, gripped as every second passed as Nadia’s (Anjli Mohindra) thumb trembled over the detonator. Andrew Peters asked Anjli about that role and her blossoming career. Q Anjli, you grew up in Nottingham: do you have fond memories of the town? A Oh crikey! Most of my childhood memories were made in Nottingham and a lot of the people I love still live there so I go back as often as I can. In between jobs I look forward to getting back for long weekends, sticking on my dad’s wellies and trundling through the woodland path behind our house with our dog, Jack. Q What interested you about acting in order for you to pursue it from a young age? A I was a bit of a bookworm as a child – I really loved stories. The idea of being a part of the storytelling itself has always been thrilling for me. I enjoy researching my character’s world and getting inside the heads of the characters I play. Q Did you ever consider other careers? A No. I never wanted to do anything else. Q You were accepted into the Carlton (now Central) Junior Television workshops. Looking back, how do you think this experience helped you? A I owe a lot to those workshops. The training I received is now the foundation of my actor toolkit; we were encouraged to write character biographies and they always pushed us to find the truth in all our work. We did lots of improvisation too – I think that really encourages actors to take ownership of their characters and commit to who they are. It was there, in a chance meeting, I met my first acting agent and that really kickstarted everything. I don’t know how I’d have done it without ‘Workshop’, as we call it! Also, while training there, I met a troop of wonderful people I feel lucky enough to now call lifelong friends. We’re all as thick as thieves. Q It all started for you with Coronation Street, playing Shareen: do you watch the programme now? A I don’t anymore, but it was a family ritual growing up, so it was a real treat to be part of it. My mum came with me to the set and did the obligatory embarrassing parent thing. Looking back now though, my mum’s joy at being momentarily surrounded by the actors she watched on TV every night was really special. Q You had a three year stint in The Sarah Jane Adventures as Rani Chandra. Did that provide you with the confidence you obviously now have? A The Sarah Jane Adventures was my first proper regular role. I loved every minute and definitely began to feel relaxed in front of the cameras. I was so young and looking back at the episodes it feels like watching a younger sister still very much learning the ropes. I think I’ve developed my process since and my confidence has come with that. Steeping myself in the character’s world fires me up. It feels less like performing and more like living life in their shoes! 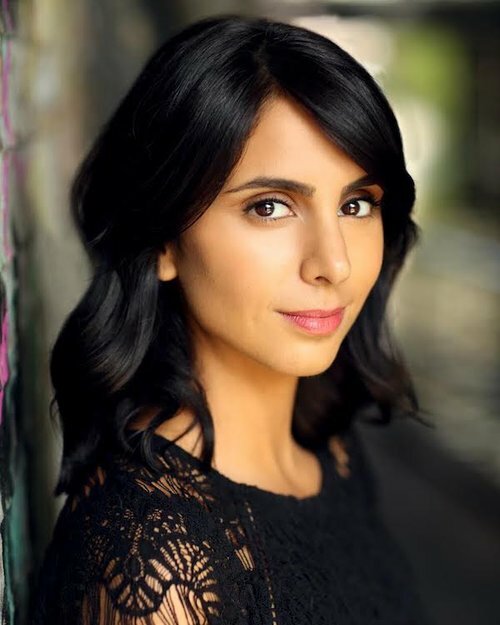 Anjli Mohindra grew up in Nottingham and trained at The Television Workshop – an East Midlands-based training centre for young acting talent. Having always had the desire to be an actor, she made this career decision in her teens after admiring Samantha Morton in Sweet and Lowdown, Robin Williams in Dead Poets Society and Sophie Okonedo in Skin. Nadia in Bodyguard, the BBC One thriller from Line of Duty showrunner Jed Mercurio. She will shortly star alongside Tom Riley in the ITV crime drama Dark Heart. Additional TV credits include Midsomer Murders (ITV), Cuffs (BBC One), The Missing (BBC One) and My Jihad (BBC Three). She recently won a place on the Royal Court Writers’ Programme and is looking to develop her voice as a new writer. Q How important has your family been in helping your career? A I couldn’t do what I do without them. My mum is the most tenacious person I have ever come across. We call her the Adidas woman because, with her, impossible really means nothing. She’s always encouraged me to follow my heart, without fear. My dad has always been behind me, ferrying me to and from auditions as a child. My brother and sister are always my harshest critics. I feel lucky to have them all on my team. Q What do you like best about your work? A Life on location. We literally went underground when filming Dark Heart for ITV, then the next week we were by the sea. Being on set is so much fun, the camaraderie, the banter and the tea table with its coveted snacks! Q As Nadia in BBC One’s Bodyguard you were part of what has been widely accepted as the year’s most gripping 20 minutes of television drama – how does that feel? A It’s been incredible! That was my most exciting role to date and the response has been amazing. I think what Jed Mercurio, the writer, has done by making us suspect the establishment’s hand in the bombings is thought provoking and challenges stereotypes. 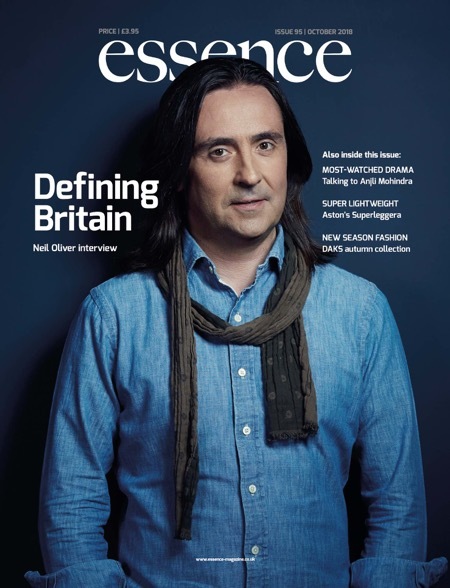 Q You’ve mainly had acting roles in TV work, would you consider film or theatre? A I would love to do more theatre, it’s what I did before my television career began. I’m looking forward to doing more film work too. My agent’s plan is to be very selective of any roles going forward to give me the chance to get stuck into more of both. Q You’ve done some comedy – would you like to do more? A Definitely! A lot of what I’ve done recently has been serious and harrowing. I’d be well up for letting my hair down. Q I understand you would like to be a writer. Can you tell us a little more about your ambitions? A I was lucky enough to get a place on the Royal Court Writer’s programme and that gave me a huge respect for scriptwriters. I’m still relatively new and I’m writing a pilot sci-fi comedy at the moment. I’m having a lot of fun doing it, in between acting, and hope to have my work out there soon. Q You’ve been especially busy this year, what does 2019 hold? A My next role is as Josie Chancellor in ITV’s Dark Heart which screens later this month and I’m looking forward to that. Then I’m in a fantastic ghost story for BBC Four by the wonderful Mark Gatiss. Beyond that, who knows? That’s the joy of this job. We very much live in the moment and the road is wide open: who knows what’s around the corner! Q What’s your greatest luxury? Bodyguard is available on BBC iPlayer. Dark Heart will air on ITV from 31 October.